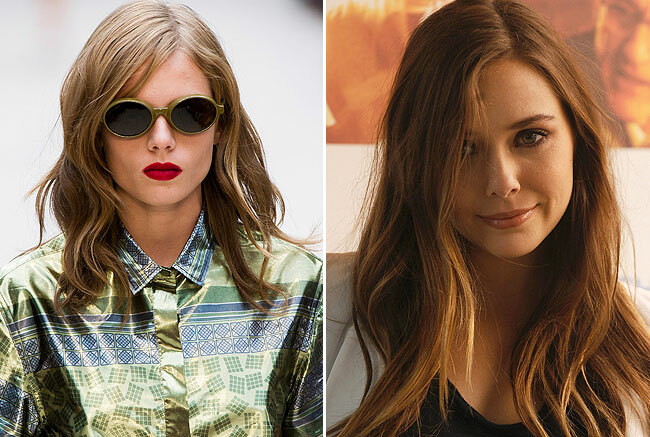 I was already obsessing over Elizabeth Olsen‘s loose, ever-so-slightly wavy hair when I saw the Burberry Prorsum runway look that debuted at London Fashion Week yesterday. The texture here is so natural and relaxed, and I love that it’s a little bit piece-y but soft and shiny, too. I’ve seen hairstylists accomplish this look a couple different ways: one, by wrapping hair very loosely around a wide-barrel curling iron, heating it for just a second to create a bend; and two, by blowing it out and twisting the ends around a skinny round brush. Contrast the texture with Mariah Carey‘s hairstyle from her first American Idol appearance the other day. 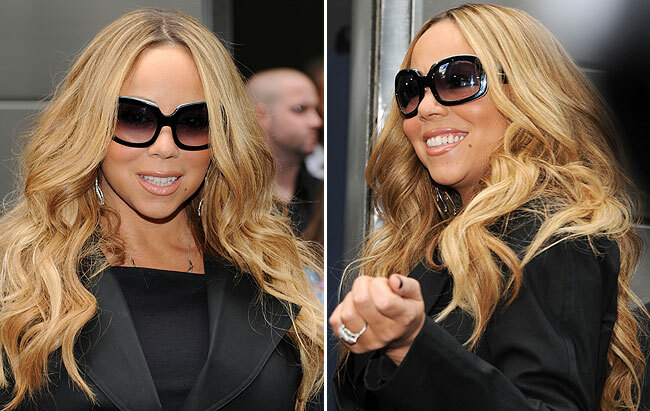 The difference is subtle, but see how Mariah’s waves look like they were made with a curling iron? They’re more uniform and stiff, which is a look I’d argue is starting to feel dated. Are you loving these loose waves? Or are you partial to a tighter, bouncier curl?